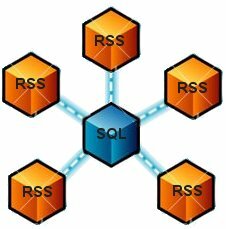 The SQL2RSS script allows you to easily create rss feeds from SQL databases. The script currently supports the conversion of MySQL databases to RSS feeds. When using SQL2RSS the publisher has complete control over the content in the resulting RSS feed. Administrators and publishers control the database query which allows them the flexibility to determine what data is inserted into the RSS feeds from the database. Read the latest RSS feed and pocasting newsletter from FeedForAll. Includes information on: FeedForAll and RSS Scripts Updates, Podcasting Humor and much, much more! 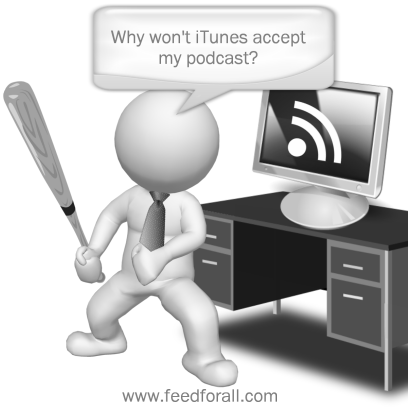 03/04/2013 Why Will iTunes Not Accept My Podcast? The RSS Scripts in the RSS Scripts Directory have been updated for better compatibility with PHP version 5.3.